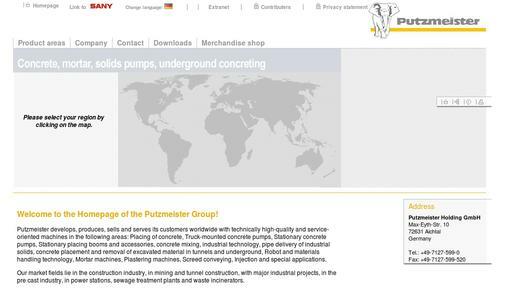 Aichtal, 21.12.15 – At bauma 2016 in hall B6 booth 100, Putzmeister will present the next generation of its tried and proven truck mixer concrete pumps: the PUMI 25-4 and the 28-4 NEW Generation. The most important advancements include the unique stepless support, the 4-arm distributing boom, the new S-pump, the Ergonic 2.0 control and technologies for reduced operating costs and exhaust and noise emissions. The PUMI 25-4 and the 28-4 NEW Generation are causing a stir with numerous innovations. The stepless support, which offers incredible flexibility on constricted sites in particular, is an absolute novelty. Just like the 4-arm distributing boom with optimised slip characteristics and maximum working range. Easier and safer operation, thanks not least to the extensive lighting concept and the new computer-assisted Ergonic 2.0 control. The newly developed S-piston pump with large hopper, ideal accessibility and optimised performance data was developed specifically for PUMI applications. In order to counteract wear, Putzmeister has further refined the design of its machines. The torsion-resistant integral frame and shape-optimised mixer drum ensure a consistent axle load distribution, preserving the machine over the long term and keeping operating costs low. The new PUMIs are proving to be eco-friendly and economic thanks to lower operating fluid consumption and reduced exhaust and noise emissions. As usual, the PUMI 25-4 and PUMI 28-4 NEW Generation are available with either piston or rotor pump. The stepless support allows a flexible and safe machine setup. The ESC (Ergonic® Setup Control), Putzmeister safety system, guarantees permanent control at all times through the interaction between support, boom movements and pump function. In addition to the full support, the machine can also be setup with one side support. The 4-arm distributing boom with Z-fold offers optimised slip characteristics. The perfected kinematics enlarges the spatial working range and prevents "dead space". This increases the effectively attainable operating reach. A 125 mm diameter delivery line supplies the required amount of concrete. The direct response characteristics of the boom control, the minimised boom vibrations, the arrangement of the delivery lines and the rigidity of the steel structure guarantee extremely precise concrete placement. 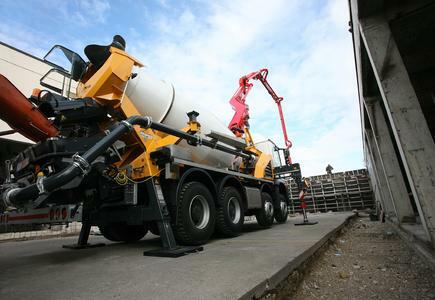 The PUMI 25-4 and the 28-4 NEW Generation are the first truck mixer concrete pumps to be fitted with the Ergonic® 2.0 control. An operating concept developed specifically for the machines makes operation of new PUMIs intuitive and hence very simple. The machine support is controlled by the Ergonic® Setup Control (ESC) safety system. The support ranges are displayed to the operator, thereby minimising operating errors. Other operator-friendly details, such as the new extensive light concept for illuminating the operating positions and the support ranges, allow work to be completed more conveniently and faster. The new models also offer extensive equipment for active support during use and afterwards. The latest generation models are recognisable even by their altered appearance. 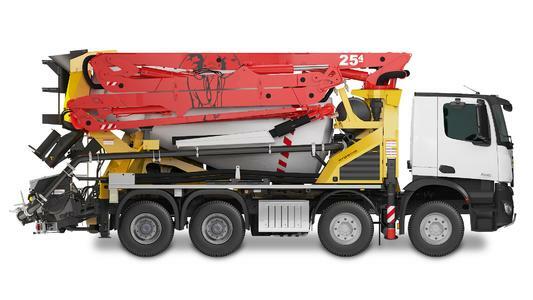 The shape-optimised mixer drum aids optimised axle load distribution. Additionally, the torsion-resistant integral frame ensures force is optimally transferred from boom to frame, from where it is conducted directly into the stabilisers. The incredibly stability and minimum movements during the pumping operation minimise wear and hence the associated costs. The S-piston pump, designed specifically for the new PUMIs, is another innovative development. 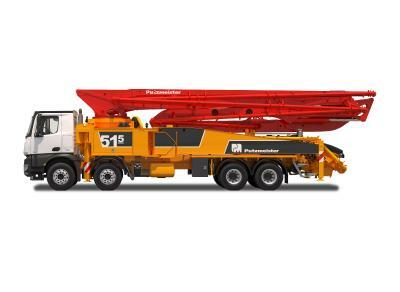 A large hopper, optimised accessibility to the water box and top performance data ensure a concrete pump that is ideally suited to the new PUMIs. Lower exhaust and noise emissions, as well as reduced diesel and hydraulic oil consumption are easy on the budget and on the environment. This is made possible by a new drive concept and larger hydraulic pump. So the machine operates at a lower engine speed while the pump is operating. The new filter concept, which significantly reduces the number of oil changes, is also eco-friendly. The company is based in Aichtal. With approximately 3000 employees, the company achieved a turnover of roughly EUR 691 million in the year 2014.